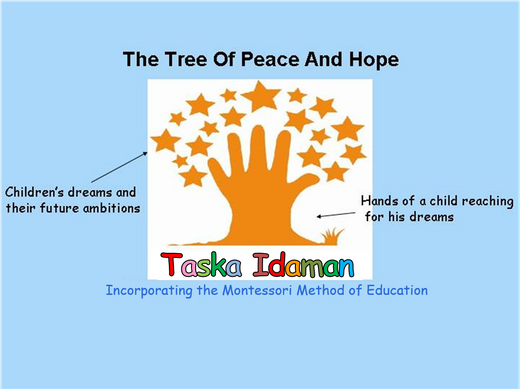 The sky is the limit - It's a tree of peace and hope. Plants takes time to grow into trees, just like a successful man needing time to drive himself into a great success. The Pre-school Montessori programme is the very first step into putting our children into the world of learning. So this is the place that teaches your child to reach out their hands to reach for their dreams. The sky is the limit thats why we are breaking broundries so that you can touch the stars in the sky and you can make your dreams come true to make yourself a strong tree in the future. Proceed To "About Us" Proceed To "Our School Uniform"